We offer FREE BASIC FITTINGS for players of all skill levels and abilities. This process begins with a conversation between you and one of our club specialists to learn about your game and determine the type of clubs you may be interested in. With our "try before you buy" policy, you are able to test the clubs on our outdoor practice facility at no cost. When you are finished with your testing session, your club specialist will work with you to select the make and model that will best suit your game. The final step involves your club specialist fitting the equipment that you have selected to the proper specifications using the Game Changer, which utilizes live ball flight analysis. You can be confident that Carl's will always use the most up-to-date technology and the best fitting tools available to ensure a proper fit. No appointment is needed for basic fittings. Just walk right in! We also offer PERFORMANCE FITTINGS, which utilize the latest and greatest in custom club fitting. Carl's Golfland is equipped with Trackman technology, the same used on tour, to help improve your game by using live Doppler Radar to scientifically get you into the best clubs possible. You'll leave knowing you have the best equipment for you in your bag. This type of fitting tends to be suited for those who value the best in technology. Having trouble determining which fitting is right for you? Give us a call (248-335-8095) and ask to speak with one of our club specialists to determine which type of fitting would best suit your game. 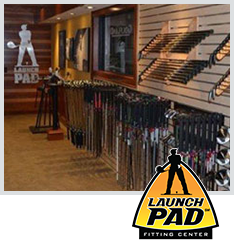 The Launch Pad, our state of the art fitting center, is equipped with private fitting suites and the latest in custom fitting tools from the top equipment manufacturers. We utilize live ball flight using Trackman 4, the #1 solution for swing and ball flight analysis, to track your shots. 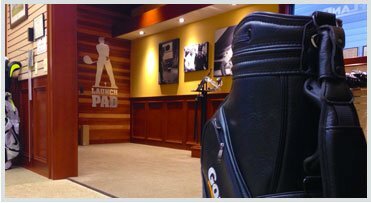 The Launch Pad is the ONLY Performance Fitting Center in the World with 3 TrackMan University Master Club Fitters on staff. Call 248.335.8095 or EMAIL US for more information. We offer FREE BASIC FITTINGS for most players and skill levels. This process begins with a conversation between you and one of our club specialists to learn about your game and determine the type of clubs you are interested in testing. 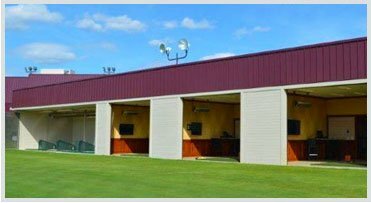 With our "try before you buy" policy, you are able to test the clubs on your own, on our outdoor practice facility at no cost to you. When you are finished with your testing session, your club specialist will work with you to select the make and model that will be best suited for your game. The final step involves your club specialist fitting the equipment that you have selected to the proper specifications using live ball flight analysis. You can be confident that Carl's will always use the most up-to-date technology and the best fitting tools available to ensure a proper fit. No appointment is needed for basic fittings. Just walk right in! Performance Fitting is designed for the player that values the best in technology and fitting expertise. What makes this fitting unique is the combination of a demo and testing session, in conjunction with launch monitor feedback, while working one-on-one with a dedicated performance fitter. We utilize Trackman III Launch monitor technology during these fittings. Trackman is a Doppler Radar based system that tracks the ball down range and provides extremely accurate numerical information about your shots: within 1 foot at 100 yards. This information, combined with your feedback will allow us to find the best products for your game. There is a cost for performance fittings, however, if a purchase is made a portion of the fee is refunded. All of these fittings take place in The Launch Pad, our newly constructed, state-of-the-art fitting center. The Launch Pad is available for year-round use and is sheltered from the elements. If a purchase is made through one of these performance fittings, you will earn a credit of $60. A SAM PuttLab fitting yields a $50 credit. These credit is valid for 30 days after your fitting. Our goal in a driver fitting is to maximize your distance and accuracy. We start this process by measuring your current driver's playing characteristics. Taking into account these baseline numbers, your performance fitter will have you test multiple head and shaft combinations to maximize your launch conditions and ball speed, while limiting dispersion. This fitting begins with testing your existing irons to gather baseline data. Your fitter will analyze this data and along with your feedback to select irons for testing. Once a model is selected, your fitter will make sure the iron is fitted properly for length, shaft type, flex, and grip, while achieving the best possible launch and spin conditions given your swing dynamics. The final step is to discuss the optimal set make-up and wedge gapping for the irons you have selected. This fitting is designed for the player looking for a new set of clubs from the driver down through wedges. We will incorporate the Performance Driver and Iron Fittings, along with the testing of fairways and hybrids. Typically, the irons and wedges will be fit first followed by driver, fairway and long game fitting. Because of the volume of golf balls hit and the rate a player typically fatigues, we prefer to schedule these fittings on different days. The purpose of this fitting is to analyze the distance gapping and ball flight of your current set of clubs. Through this analysis, we can determine what changes or additions should be made to your current bag configuration. Wedge gapping and hybrid integration are most common. Any loft and lie adjustments that are needed on your current clubs are covered by the fitting fee. This fitting will help you configure your bag with fairway woods and hybrid clubs. Many players struggle to find the best combination of clubs to cover the gaps in distance these clubs create. By testing multiple clubs and gathering Trackman data, we can help you find the best performing products, maximize your distance and accuracy and maintain a playable trajectory. The performance wedge fitting starts with our fitters analyzing your current short-game set make up. Next, we gather as much information from you based on your wedge preferences and performance characteristics. You’ll test multiple models with different lofts and bounces as we find the perfect gapping for your short irons. Trackman Combine will help you identify the strengths and weaknesses in your golf game. By hitting 6 shots to 10 selected distances, Trackman can grade your accuracy and distance control on a scale of 0-100. Trackman will generate a report with your score and how you scored at each target. Having recorded thousands of players worldwide, Trackman can grade you against the pros or peers by handicap, gender, age or region. SAM PuttLab, the ultimate putter fitting system, is an analysis and training system based on accurate ultrasound measurements. It analyzes the 29 most important parameters of your putting stroke and displays the results in easy to understand graphic reports. We'll help you discover your individual strengths and weaknesses, and find the putter that fits your stroke the best. The Putter Evaluation is for the player that is looking to get their current putter adjusted to their personal stroke. Using SAM PuttLab, we will be able to recommend the correct loft, lie, and ideal grip for your putter. Any loft or lie adjustments are included in the evaluation cost. There is no credit associated with the Putter Evaluation. *$60 credit earned toward purchase - valid for 30-days post-fitting. **$50 credit earned toward purchase - valid for 30-days post-fitting. Launch Pad/SAM PuttLab Fittings only eligible for current/in-line product. Brad is the newest member of the highly acclaimed Launch Pad staff. Brad was introduced to the game at the age of 10 and started playing competitive golf shortly thereafter. Competing in high school golf for 4 years grew his love for the game and led him to Carl’s Golfland. 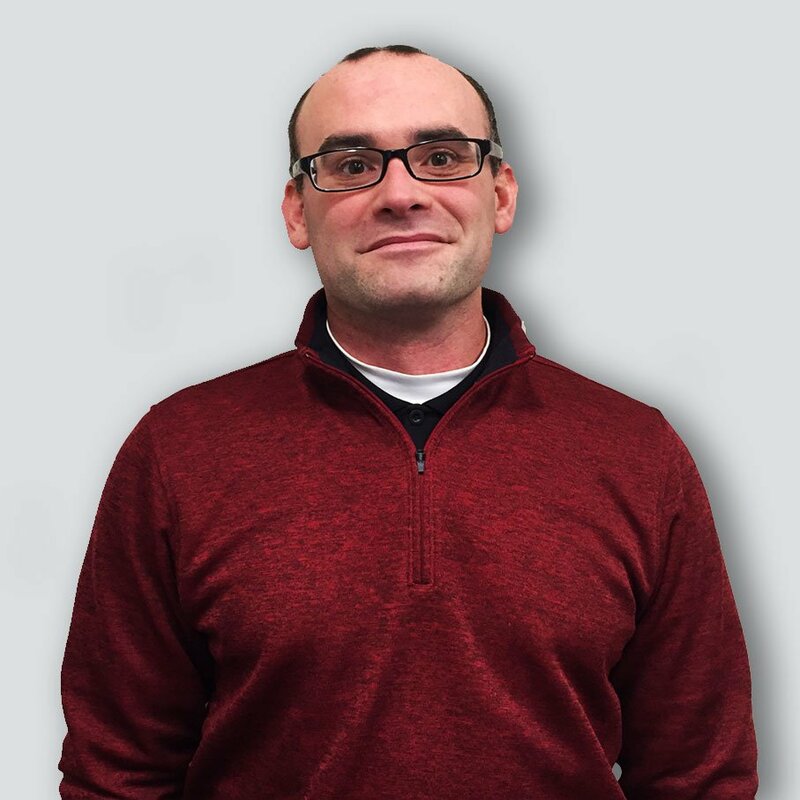 Brad worked at the Plymouth location for over 16 years and has now moved to the Bloomfield Hills store to pursue the part of the job he enjoys the most, fitting. Brad looks forward to expanding his fitting knowledge through the use of TrackMan and helping people play better golf. Brad is available for fittings year-round. Ryan has been playing competitive golf since the age of 10 and has continued to excel at the game throughout the years. Ryan was crowned the 2014 GAM (Golf Association of Michigan) Champion. In 2015, Ryan captured the 2015 Michigan Amateur Championship and was named the GAM Player of the year. He has competed in 3 USGA National Events (2 Public Links and 1 U.S. Amateur) and won 6 college events while playing for Wayne State University. During his time at Wayne State University, Ryan achieved All-American honors his junior year. Ryan thoroughly enjoys and respects the fitting aspect of the game and has compiled over 5 years of fitting experience using TrackMan. 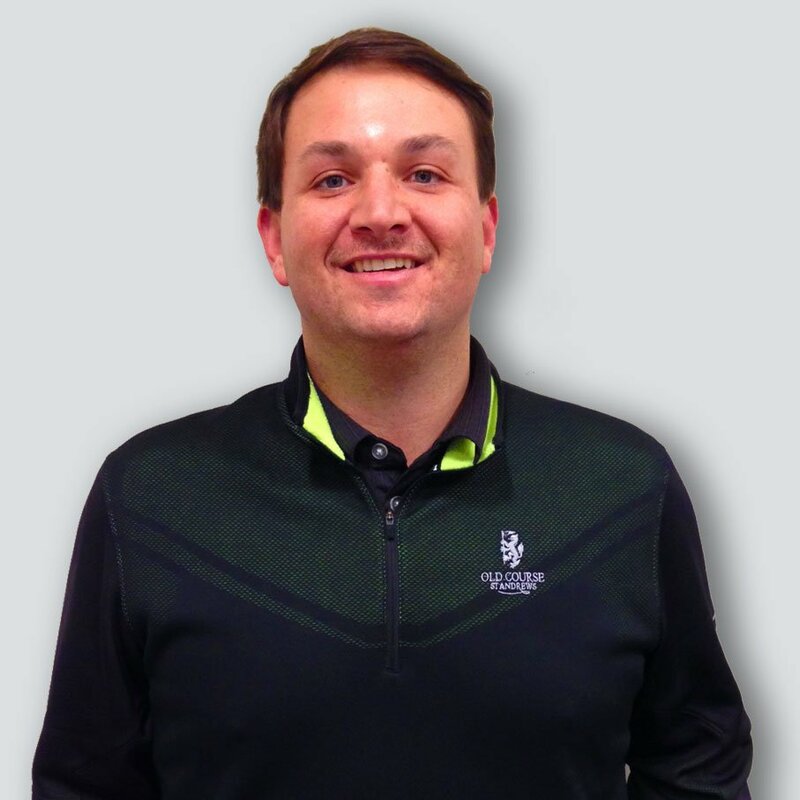 Ryan works to help customers understand the significance of a proper fitting, improve overall scores, and most importantly, to remember the joy of the game. Ryan is a certified TrackMan Master Fitter. Greg was introduced to the game at the early age of 5. He also played High School golf, where his interest for the game really blossomed. Greg ended up being a Professional at Knollwood Country Club in West Bloomfield for 5 years where he gained much of his teaching knowledge. Still thirsting for more, Greg expanded his repertoire and began fitting customers for golf clubs; he is what we like to call a “techie”. Greg’s passion for technology in both golf equipment and TrackMan alike, led him to Carl’s Golfland where he quickly found himself in the Launch Pad fitting customers. Greg has been utilizing TrackMan’s platform since 2012 and shortly after achieved Master Fitter status. Greg is a certified TrackMan Master Fitter. Nicholas’s passion for golf started at the age of 12, followed by his first tournament victory coming at the age of 14 (coincidentally the same year he began working at Carl’s Golfland). Nicholas took a short leave to play college golf at Kentucky State University, picking up all-conference awards his junior and senior year, and achieving the distinction of being their first ever 4-year Captain. He returned to Carl’s Golfland, and now has over 10 years of overall fitting experience. Nicholas became one of TrackMan’s first 15 Master Fitters worldwide, and has performed over 2000 fittings since the Launch Pad’s inception in 2012. Nicholas is a certified TrackMan Master Fitter.